Secretary, Legislative Assembly Secretariat, naharlagun, AP & Ors. Writ Appeals under the Gauhati High Court Rules. 28th WP(C) No. 446 (AP) 2015 Shri. Habung Lailang & Anr. The Union of India & 3 ORS Recovery of other dues under the Public Demand Recovery Act. 28th WA No. 05 (AP) 2014 Rockpo Dabu Lewi. The Union of India & 3 ORS Writ Appeals under the Gauhati High Court Rules. 28th Crl.A No.05 (AP) 2014 Smti. Sanya Lamra . 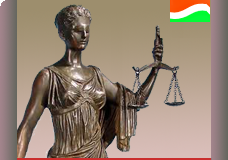 The State of AP & ORS Appeals against acquittal..
28th Crl.A No.06 (AP) 2014 Shri. Neelam Taram. 28th WA No. 11 (AP) 2013 Shri. Tingkap Tingkhatra. The State of AP & ORS Writ Appeals under the Gauhati High Court Rules.